I had a new calendar idea for 2012 and decided to utilize my 7 Gypsies Photo Tray for it. I'll be showing you these quarterly next year over in Ellen Hutson's the CLASSroom, showcasing different stamping techniques each time! The first quarter for 2012 highlights watercoloring two different ways -- one using Copic Various Ink Refills and the other utilizes the more traditional dye ink pads. I hope you'll join me HERE for all the details of this quarter. You'll be able to follow along and create your own calendars each quarter -- I'll post them at least one full month (4-6 weeks) in advance! Gina K Designs November Release Inspiration Hop 1! Welcome to Gina K Designs’ November stamp set release inspiration blog hops! We hope you enjoyed the Release Party last night -- Remember, all of the new October release stamp sets are now available in Gina’s store! Our first stamp set being featured today is: Stately Flowers 1 by Melanie Muenchinger -- aren't these flowers gorgeous?!! I adore flowers (and I'm sure glad Melanie knows that, too!) . . . this is a fabulous concept Melanie came up with! I used Copic's Pitch Black Atyou Spica Glitter Pen to accent the center of the flower, and I also went over the "Happy Birthday" stamped sentiment (from Pleasant Plurals) with the glitter pen, to give it a little more emphasis and sparkle! Our next stamp set being featured today is: Make a State-ment also by Melanie Muenchinger -- what a great set to compliment the Stately Flowers series OR to stand alone! I used this week’s CPS #246 sketch for the layout of my card; it measures 4.25” square. Papers are all from Gina's Nature's Greetings 6x6 paper pack. It's a little difficult to see, but the scalloped border is Spellbinders Classic Scallop Edgeabilities with Classic Postage Stamp Edgeabilities insert that is four hearts that form a flower! And the tiny heart die cuts make great confetti to place inside the card! These Gina K design team members also have samples to share today. Make sure you leave a comment on each of the blogs because Gina will choose two random winners from all of the comments who will each receive a grab bag of free stamps (at least 12 stamp sets in each bag)! The more blogs you comment on, the more chances you have to win . . . good luck! I’ll see you back here again tomorrow with more of Gina K’s November release! Gina K Designs November Release Party Invite! We are very excited to extend an invitation to the Gina K Designs November Release Party tonight. We have a fun evening planned for you -- chatting, prizes, challenges, stamp sets reveal, design team shares, and most importantly (we’ve changed it this month, going forward) at the BEGINNING of the party (7pm Central) November products will be available for you to go shopping! If you came from Suzanne Dean’s blog, you're at the right place. If not, you can head over to StampTV, where you will find a list of all those participating in today's hop. Next, head on over to Michelle Woerner’s blog to see what she's sharing with you today and I will see you back here on tomorrow for the beginning of our three day Inspiration Blog Hop series for November! 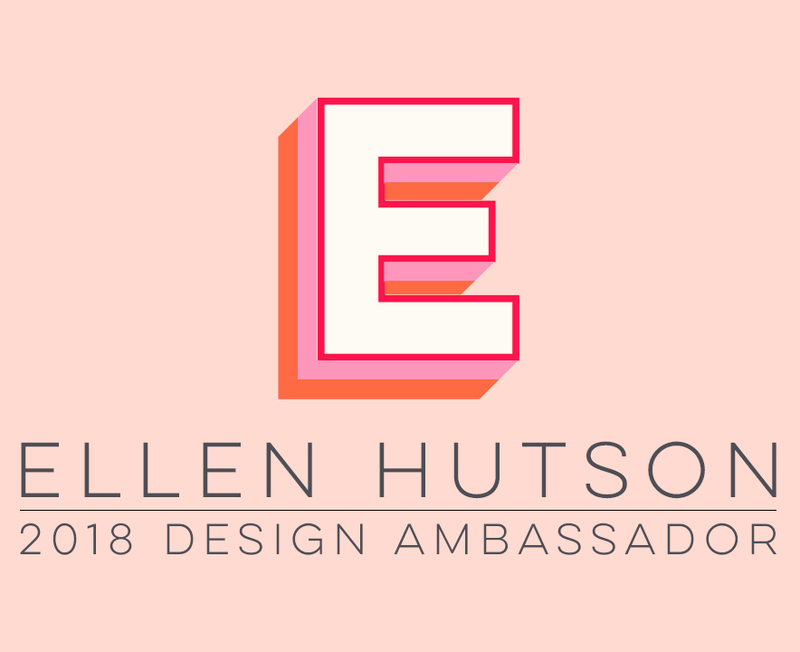 Ellen Hutson 5th Anniversary Celebration! All weekend long, we are celebrating Ellen Hutson LLC's store 5th anniversary over in the CLASSroom! You don't want to miss all the giveaways, challenges, and prizes, so I hope you'll hop on over and read all the recent blog posts there! Starting today thru Sunday there will be a new challenge posted each day -- play along and you could win each of the different prizes! We hope you'll play along and visit us this weekend! You can find all the challenge details (and prize info!) and how I made my tag over at the JustRite Inspiration blog today. Happy Friday! Today over in Ellen Hutson's the CLASSroom, I show you how to make this 4" x 6" framed snowglobe shaker artwork . . . I hope you'll join me! That sweet snowglobe is this year's Lockhart 2011 Limited Edition stamp, Nicholas Sings Carols, colored with my Copic markers of course! Welcome to another Gina K design team blog hop. In honor of the upcoming U.S. Thanksgiving holiday, today we're featuring cards with a Gratitude theme to them. If you came from Melanie Muenchinger’s blog, you're at the right place. If not, you can head over to StampTV where you will find a list of all those participating in today's hop. I ADORE poppies and these are ruffled gorgeous-ness! This “mini kit” was a little extra “all occasion” bonus for the year -- normally the StampTV kits come out every 2 months. I know I’ll be using this one a LOT, since I adore botanical themed sets! The “thanks a bunch” sentiment is from Garden Fresh. After die cutting it with Spellbinders Classic Circle Nestabilities, I used the R24 Copic marker to color around the embossed edge of the sentiment. It is popped up over two die cut Spellbinders Peony flower (die cut from Gina's Black Onyx Pure Luxury cardstock). The centers of the poppies were accented with Black Diamond Stickles. I'm so grateful for each one of you that stop in here each day -- your comments really warm my heart! Now head on over to Theresa Momber’s blog to see what she's sharing with you today! Some of you may have heard of Operation Write Home (OWH). If not -- in short, the operation helps organize and provide handmade greeting cards for deployed military heros so they in turn, can write home to their families and friends. It's just one small way we can serve them as they serve us! The OWH organization has sent over one million handmade cards overseas to our service members and if you would like to participate in the operation, you can find the guidelines for making cards here. To find a list of the 11 invited papercrafting companies participating in today's 11.11.11 Veteran's Day blog hop, please visit the OWH-Stars and Stamps blog. You can find all the details about how I made my cards today over on the Copic Marker blog. These cards use the Strength and Hope stamp set manufactured by Gina K Designs and illustrated by Theresa Momber. For the entire month of November, Theresa is donating all of her proceeds from the sale of this set to the American Cancer Society! Theresa originally designed this stamp set with cancer and other awareness causes in mind, but I thought it also worked well for military support, with a yellow ribbon tied around the tree. What better way to help support many different causes! These are my kind of chocolates . . . pretty, easy to make, and no calories! Sharon Harnist < == You are here! Today over on the Copic blog, I have a tutorial on how to create this Christmas card using quite a few Copic products, along with this darling Lockhart Wagon of Toys stamp -- including the background stamped with Copics! I hope you'll join me there for all the details! The holidays are right around the corner -- it's never too early to start creating your cards! JustRite Stampers November Release #2: Backgrounds! Isn’t it gorgeous?!! The void in the center is intentional and designed to hold any of JustRite’s Nested Sentiments . . . or anything else you’d like to do with that blank space! I stamped the background with Dazzle Champagne VersaMark onto a #8 Kraft Tag. I accented the tag with this gorgeous vintage ornament stamp from JustRite’s Cling set, Deck The Halls, die cut with Spellbinders 2011 Heirloom Ornaments die. I filled in the blank center of the Scrolled Vine background with some pretty Prima Jaqueline lace trim and stamped a “Noel” sentiment from Deck The Halls. By placing the doily onto a piece of white cardstock with temporary adhesive while I was airbrushing, I now have a stenciled doily I can use on another project! I'll be back again tomorrow with another new JustRite release! Welcome to JustRite Stampers first Linky Party! This is a great opportunity to share your JustRite Christmas projects with JustRite’s blog readers and find new places for inspiration. The Linky Party lasts until tomorrow, so you still have time to participate and share your JustRite Christmas projects on THIS blog post. For the party, JustRite is celebrating with a JustRite Christmas Stamp Sale -- 25% off every JustRite Christmas stamps, JustRite Original Christmas sets, JustRite Cling Christmas sets and JustRite Clear Christmas sets! These are some of JustRite’s most popular stamp sets ever! Christmas stamp sale ends November 17, so shop early for the best selection! This little frame measures approximately 3.50" x 4.50" and is one I picked up from Michael's dollar bin a few months back. It was the perfect size and shape to fit this JustRite Original large oval stamp set! I added Polar White Flower Soft to the bottom of the image, to give it a realistic snow look! We hope you'll join us for the JustRite Linky Party, for some big savings, wonderful holiday inspiration, and prizes!! I love those leaves! This is a card, constructed with two #8 manila tags. You can find all the details on how to create it over at the JustRite Inspiration blog today. Thanks for stopping by -- I hope you have a wonderful weekend!